True orthodontic emergencies are very rare, but when they do occur we are available to you. As a rule, you should call the office when you experience severe pain or when you have a painful appliance problem that you can’t take care of yourself. We’ll be able to schedule an appointment to resolve the problem. You might be surprised to learn that you may be able to temporarily solve many problems yourself until you schedule an appointment with our office. When working with your appliances, you need to know the names of the parts of your appliances so you can identify what part is broken or out of place. After alleviating your discomfort, it is very important that you still call our office so that we’ll be prepared to repair the problem at your next visit. Poking Wire: Using a pencil eraser, push the poking wire down or place wax or sugarless gum on it to alleviate the discomfort. Loose Bracket or Band: If your bracket or band is still attached to the wire, you should leave it in place and put wax on it. If the wire comes out entirely, bring the bracket with you to your next appointment. Loose Wire: Using tweezers, try to place your wire back into place. If doing this and using wax does not help, as a last resort use a small fingernail clipper to clip the wire behind the last tooth to which it is securely fastened. If your discomfort continues, place wax on it. Headgear Does Not Fit: Sometimes headgear discomfort is caused by not wearing the headgear as instructed by your orthodontist. Please refer to the instructions provided by your orthodontist. If the facebow is bent, please call our office for assistance. Surprisingly, the headgear may hurt less if it’s worn more, so be sure you’re getting in the prescribed hours. General Soreness: When you get your braces on, you may feel general soreness in your mouth and teeth may be tender to biting pressures for three to five days. This can be relieved by rinsing your mouth with warm salt water. Dissolve one teaspoonful of salt in 8 ounces of warm water, and rinse your mouth vigorously. Placing Orabase on the affected area may help; this can be found in your local pharmacy. If the tenderness is severe, take whatever you normally take for headache or similar pain. 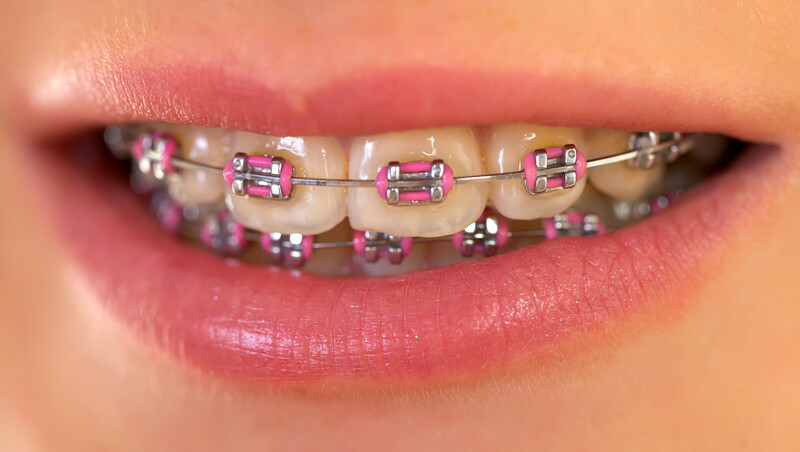 Brackets and orthodontic appliances are designed to stay in place and last for the duration of treatment. However, we understand that sometimes accidents happen, and occasionally brackets, wires, or elastics may become loose or come off altogether. Addressing accidental orthodontic emergencies is covered under the estimate for your complete orthodontic treatment plan.